An English physiologist, William Bayliss was the co-discoverer of the peptide hormone called secretin which he and Ernest Starling jointly researched about. Together with Starling, Bayliss also discovered the peristaltic or the movements and contractions inside the digestive tract which moves food from one place to another. Apart from these discoveries, Bayliss is also a notable name for research in the fields of physical chemistry, biochemistry, and physiology. 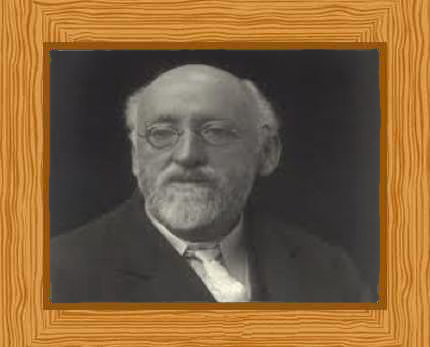 William Bayliss was born William MaddockBayliss on the second of May in 1860 in Butcroft, Wednesbury. His parents were Jane Maddock and Moses Bayliss who was a manufacturer of screw bolts. He had no siblings and was named after a paternal uncle who happened to be the man who founded the ironworks in Wolverhampton’s Cable Street. Later in his life, William joined this firm along with one other person and the firm was then known as Bayliss, Jones and Bayliss. Growing up in Wolverhampton, he got his initial education in Mowbray House School. Later on, he became the apprentice of a doctor in the Wolverhampton Hospital—this was done to hopefully rouse his interest in medicine which somehow succeeded in the long run despite a slight change of course. He was not able to complete his apprenticeship and he took a different road when he went to the University College London in 1881. Four years later, he attended Wadham College in Oxford. During his time there, he worked on getting his degree in the School of Natural Science or Physiology. Back then, this was a blooming field which a lot of scientific minds began to take interest in. After finishing his degree, he took a teaching post in the University College London from 1888-1912. It was when he was working there that he made his grand discovery. Ernest Henry Starling, another notable name which almost always pops up along with Bayliss’s, was also a physiologist who worked at the University College London. Together, he and Bayliss discovered the occurence when food touches the small intestine. These physiologists were able to determine how secretin, a chemical substance—more specificallya hormone–is secreted. This substance is then carried by the blood to the pancreas. There it would stimulate pancreatic juice secretion. Pancreatic juices are the most important ones when it comes to digestion, and this hormone is what triggers the pancreatic juice secretion. Secretin, the substance they discovered, was the very first hormone identified. Bayliss and Starling coined the term “hormone” from the Greek phrase “I arouse” or “I excite” because of its effects on another organ. Because of their breakthrough, a whole new field of medical and scientific research was opened. So much was the importance of their discovery that the “Bayliss Clubs” in America are named after William Bayliss. These clubs were formed to help raise more awareness on life in general and how chemistry is also a factor at play in it. Despite the positive contributions they had, there was also some controversy surrounding their work. Their tandem worked on animal experiments which led to the 1903 Brown Dog Affair. Stephen Coleridge who was then the Secretary of the National Anti-Vivesection Society addressed the Society that a certain brown dog was vivesected at the University College London and the procedure was done by Bayliss. As a counter move, Bayliss sued Coleridge and he won. After this incident, he donated no less than £2,000 to the college for the damages the incident incurred, especially on the physiological research department. After then, Bayliss distanced from the issue and even wrote several articles which were about the humane and proper treatment of animals. Come 1912, Bayliss was appointed as the Professor of General Physiology at University College London. Bayliss had a very productive scientific career and his tandem discovery with Ernest Starling wasn’t the end of his scientific contributions which are remembered to this day. He also engaged himself in the study about saline injections which helped counter shock which patients tend to experience after surgery. Because of the findings in this work of his, he eventually proposed using gum-saline injections. These injections had been used for shock caused by major wounds and had saved many lives during the First World War. Three years after he was appointed as the Professor of General Physiology, Bayliss’s classic publication called the “Principles of General Physiology” was made public. During his lifetime, his famous publication had four editions. There came a point when he became too ill to make the revisions himself and since each chapter required professional attention, no other person was quite able to make a revision as detailed as the previous ones were for the lack of thorough knowledge in the fields that Bayliss himself opened. Two years before he died, Sir William Bayliss was knighted after which he lived in Hampstead and continued working as the director of their family business which his uncle started. His collaborations with Ernest Starling weren’t all about science. In fact, they left a different kind of legacy when it came to their personal lives. Bayliss’s children had been born by Starling’s sister named Gertrude. Together, they had a daughter and three sons. Leonard Ernest Bayliss followed the footsteps of his father and also became a physiologist and studied under the wing of Starling at the University College London. Bayliss and his wife took part in the social setup of the people around them. This was why they had mutual interests and spent efforts on improving the working conditions of those in Cable Street where the family business was located. The people from the area knew of the couple’s hospitality and Bayliss kept an interesting scientific aura inside their home all the time. According to varied accounts, Bayliss was a gentle and honest man who was very approachable. It was also said that he was a man who always esteemed other people more highly than he did himself. In 1924, Bayliss died in London. Several years later in 1979, the Bayliss and Starling Society was established and the main purpose of the society was focused on central and autonomic peptide functions.